Did North Korea test a fifth missile last week? On March 6th, North Korea conducted a salvo fire test of their Extended Range (ER) Scud missile system into the East Sea. KCNA reported that the test was conducted by the “Hwaseong artillery units of the KPA Strategic Forces tasked to strike the Bases of the U.S. imperialist aggressor forces in Japan in contingency”, while also noting that “four ballistic rockets launched simultaneously”. The next day, on March 7, CNN’s report on the recent test mentioned that there was a fifth missile that failed to launch. While U.S., South Korean, and Japanese military authorities confirmed the launch of four missiles, the presence of a fifth missile, if there was one, was almost completely removed from KCNA coverage. After analyzing the images released by KCNA, there seem to be a few clues that were not removed and which would corroborate CNN’s report, indicating that there might have been a fifth missile at the test launch. 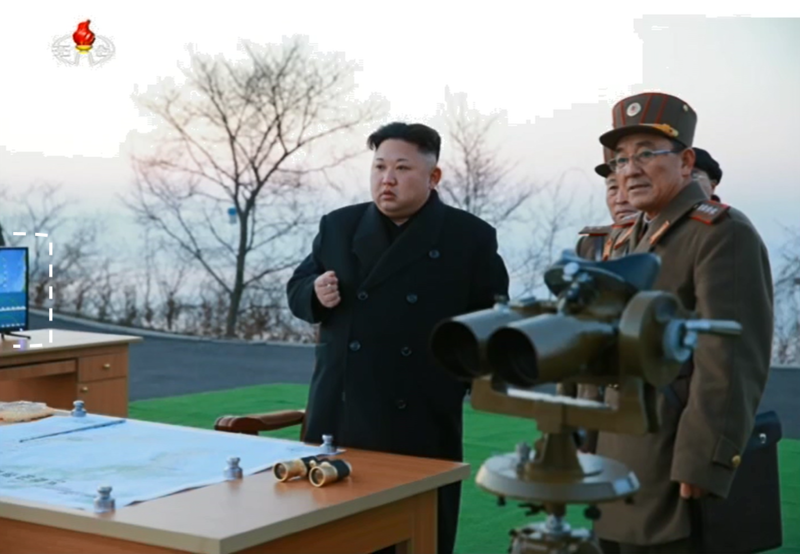 Among the images released by KCNA, a few of Kim Jong Un at his observation position show two screens and a map on a table. Using the map it’s possible to identify that the test’s simulated target was a U.S. military base in Iwakuni, Japan. 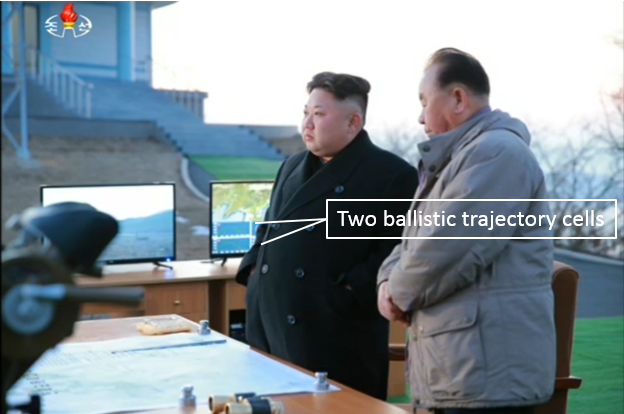 The information on the screen, however, might indicate that they planned to test a fifth missile. 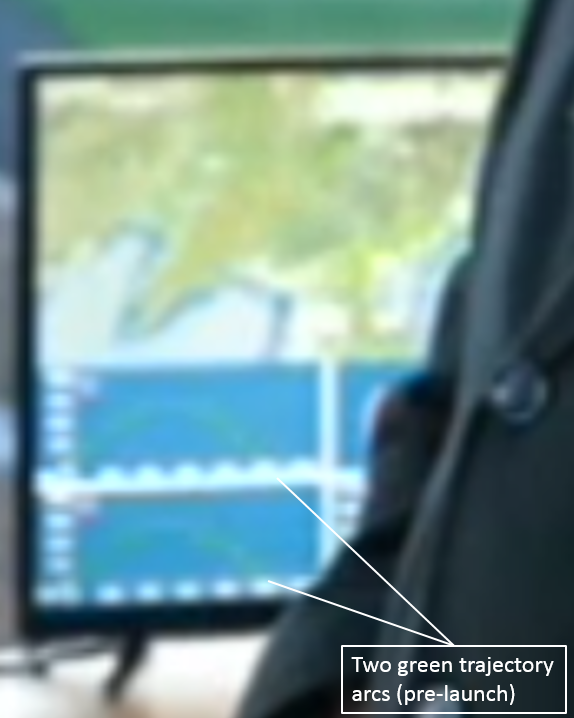 On the screen to the right of Kim Jong Un, there is what appears to be a map of the Korean Peninsula, with two visible cells below the map. 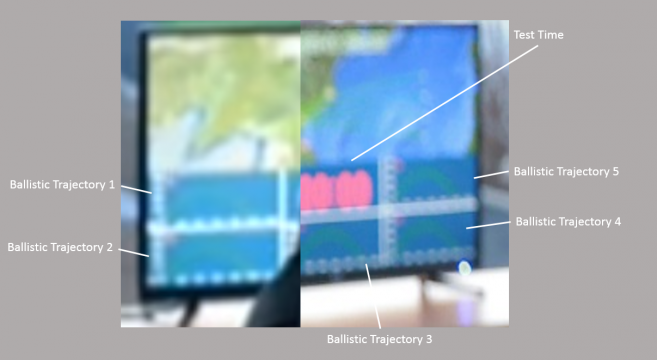 In these two cells, there are two green arcs that display the ballistic trajectories of two of the missiles being tested. 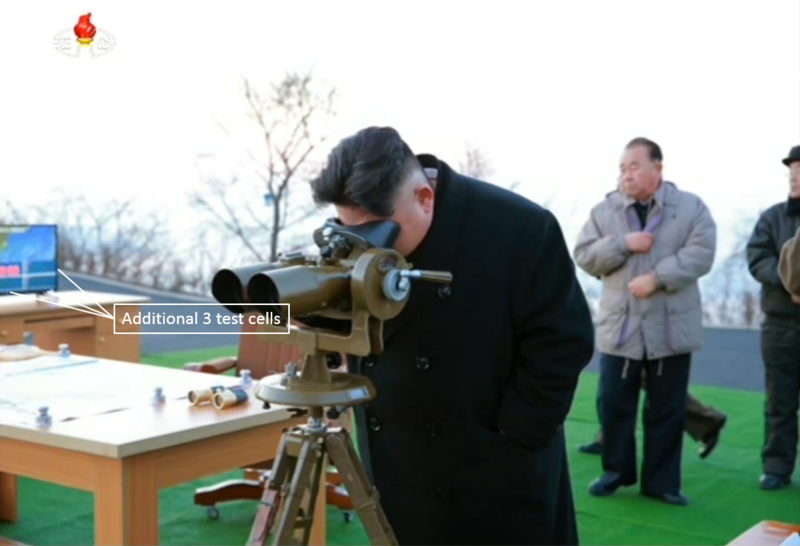 Another image from this view reveals the other side of this screen, which was blocked by Kim Jong Un in the previous image. Below is a closer view of two of the three test cells, with what appears to be 5 points of impact for the test. If we combine the two halves of the screen, we can build a composite image that reveals, in slightly better detail, the contents of the screen. 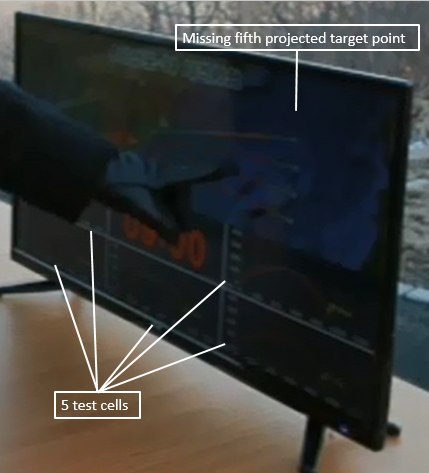 Additional proof for five test cells can be seen in the image below. An expanded view of one of the cells helps to identify the type of information in each of the five cells. 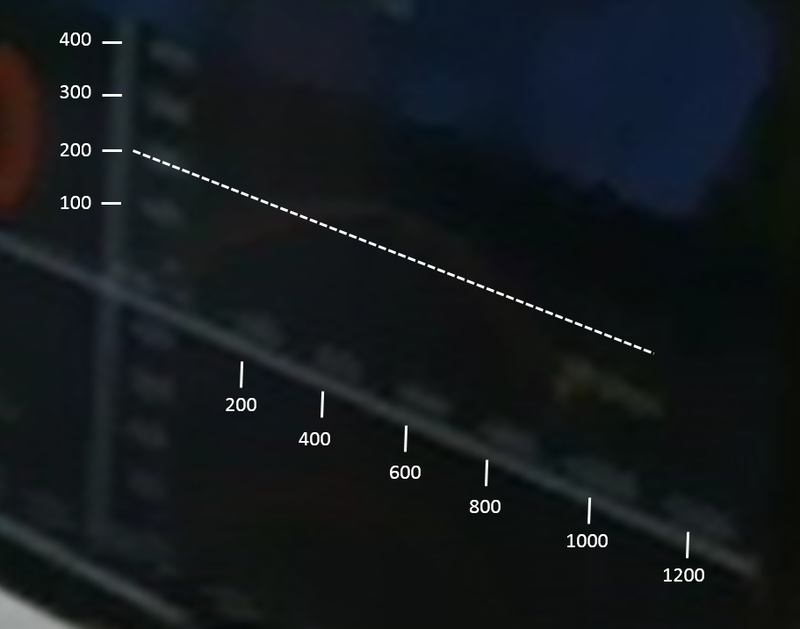 The projected arc closely matches reports related to the missiles’ performance, with the apogee being around 260 km and the range being slightly under 1000 km. Even with five missile trajectory test cells, five possible projected target locations, and reports from foreign media that there were five missiles at the test, information in the images released by KCNA also suggests there could have been only four missiles. 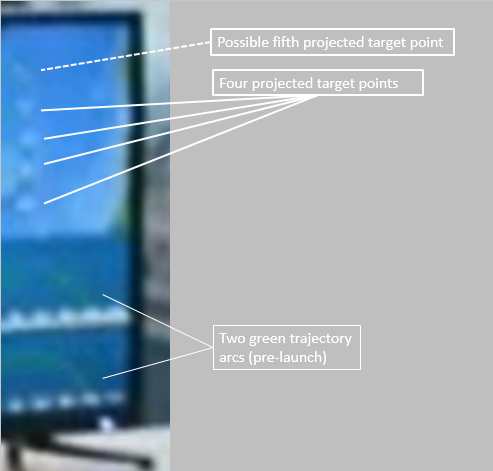 Besides the obvious contradictory piece of evidence: namely, that images of the test showing only four missiles, a close-up image of the right screen shows only four visible projected target locations (see image 7). 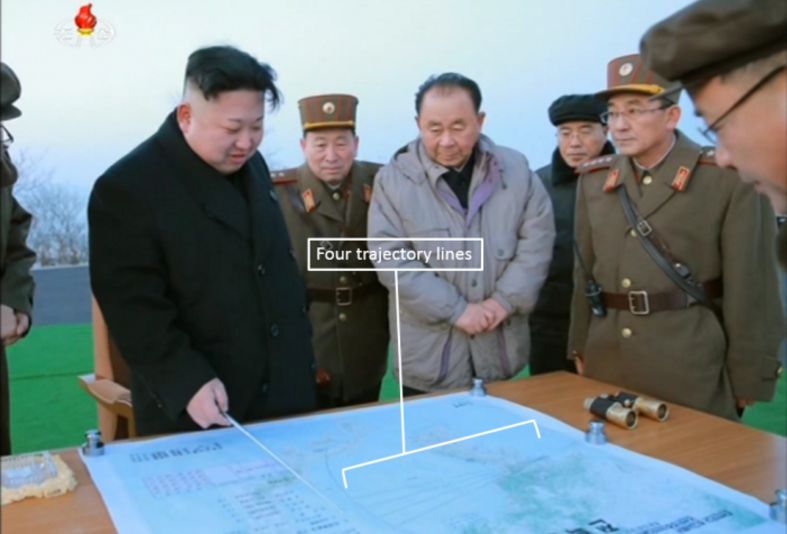 Additionally, an image of a map in front of Kim Jong Un shows only four lines corresponding to the four missiles tested last week. 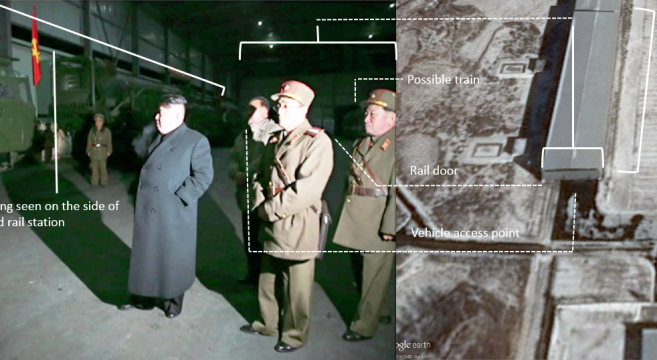 With two different sets of images telling a different story, it is ultimately hard to say whether these clues, hidden in pictures released by KCNA, conclusively point to a fifth missile, which would have been edited out of the footage from the March 6th test. 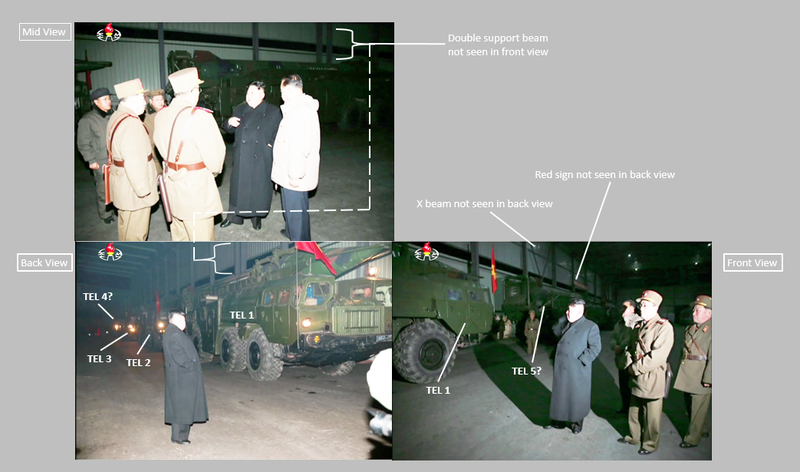 But here is one additional note, however, which may if true, help determine whether or not the images released shows proof of this additional missile. These are a set of images that show the ER Scud TELs in the covered rail station at the Sohae Satellite Launch Station. In the image below, we see a collection of the three photos taken inside of the covered rail station. The images show three views of the TELs prior to rolling out: a front, mid, and back view. Looking at features seen on the wall next to the TELs, it would appear that there is possibly a fifth TEL visible in the front view image. 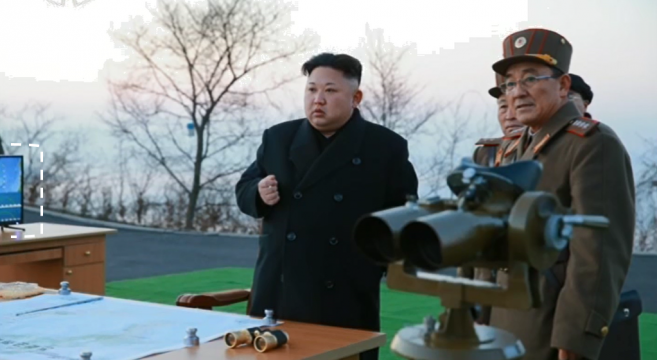 With reports of a fifth missile, and additional discrepancies seen in the images of the test, it is possible that North Korea intended to test five missiles instead of the four that they showed. 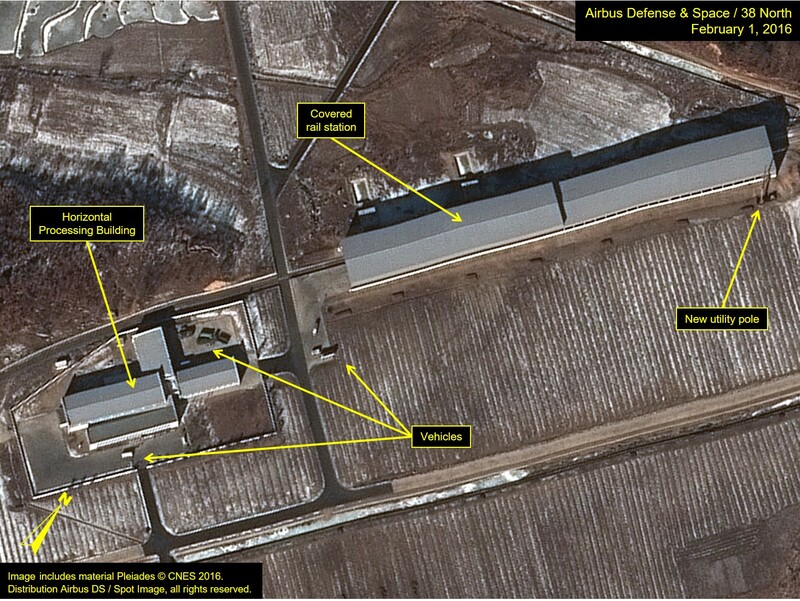 Reflecting upon analysis of previous missile tests, the images of the March 6th test seemed to be relatively data sparse, in comparison with the usual higher resolution images of maps and screens with test data. While these higher quality images would not reveal everything that took place during a missile test, it was usually enough to reinforce the narrative the North Koreans wanted the rest of the world to see. 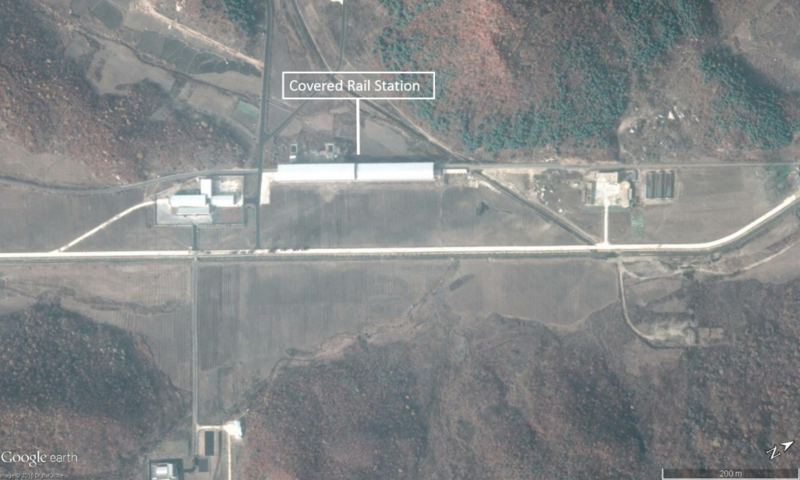 The failure of a 5th missile might have led to the decision to withhold higher quality images of the map and screens, or the North Koreans are, potentially, becoming more sensitive to media analysis. We will ultimately have to wait for the next missile test and compare the amount and quality of information provided in order to properly assess state media’s coverage of the March 6 test. But there is certainly enough to question the official story.